These bankers have a lot in common besides their profession. Interestingly enough, all five of these women are mothers of two children — that includes one who refers to her two doggies as her “children.” They were all taught independence at a young age. They are outgoing and people-oriented. These women are also committed to personal fitness, keeping their strength up to pursue their active lifestyles. Most started their careers in banking literally at the ground floor as bank tellers (usually during college) and worked their way up. They have similar advice to give other women who are just starting out, especially when it comes to mentoring. Forget about thinking you are supposed to tackle life on your own. Mentors are essential, according to these five very successful businesswomen, and, conversely, they are now able to be mentors themselves. They have years of experience and are generous with offering their guidance and encouragement. All five of these women enjoy helping others. Each loves her job and is passionate about it because it offers the opportunity to help other people and their businesses. They learned what their strengths are early on. They know what their limits are and just how far to push them. They have a strong work ethic and set goals. They have a strong sense of self and take on challenges. They are the initiators who serve in leadership roles. Outstanding in their respective fields, they are recognized by their many organizations. They are award winners! 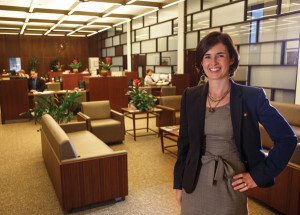 “Family-run businesses are a bit different from sole entrepreneurships or corporations in that they have a legacy to pass along to the next generation,” says Sara Brouillard, family business resource manager of the Broadway Bank’s Family Business Resource Center (FBRC). “Sometimes it isn’t that simple. The business owner may find that the children who seem best suited for the job may not be interested. Then what?” Sara Gouge Brouillard (pronounced “googe brew-lard”) came to work for her family’s business with a background in marketing. 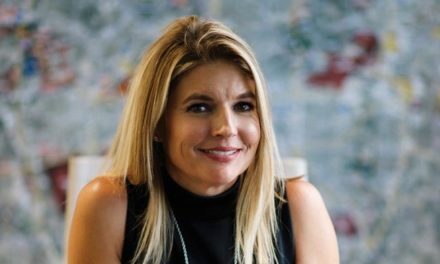 She soon developed a natural passion for helping other family businesses and welcomed the opportunity to take over the FBRC, which is dedicated to providing advisory services helping other family-run businesses. Brouillard knows a lot about family businesses. She is the great-granddaughter of Col. Charles Cheever, who founded the Broadway National Bank in 1941, and granddaughter of Charlie Cheever, her mother’s father, who took over the family business in the 1950s. 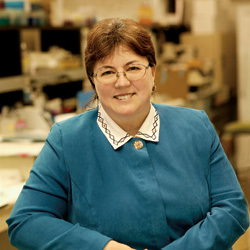 Her father, Jim Gouge, became chairman and CEO in 2001. Sara is the eldest of Jim Gouge’s four offspring. It is expected that all members of her family, including siblings and cousins, will at some time work at the Broadway Bank, perhaps in summer jobs or internships, even though they may be pursuing other interests. This family is committed to the banking business for the long haul. In 2013 the Broadway Bank won the Baylor University-sponsored Family Business of the Year Family Values Award. Brouillard has been a speaker at North San Antonio Chamber of Commerce luncheons and at a Texas Bankers Association conference. She was a participant in the 38th class of Leadership San Antonio and serves as a board member for the Children’s Shelter. 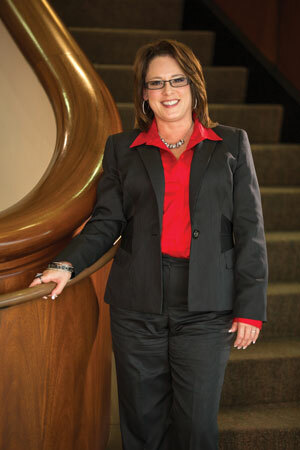 She is a founding member of the United Way‘s Emerging Leaders Council and a member of the Junior League of San Antonio. This banking lady is the mother of two boys, an infant and a toddler, and she is the chief chef in residence at Chéz Brouillard, using quiet time to research new recipes. It doesn’t matter if last week’s dish was a home run with husband, Jeff; this week it will be something different! She also encourages seeking an internship with a company to get a closer perspective on various positions and to get to know the culture of an organization. “I interned at a bank in high school and then worked there summers and holidays afterward. In college, I had an accounting concentration but discovered pretty quickly that I did not want to have a job that was primarily technically focused. 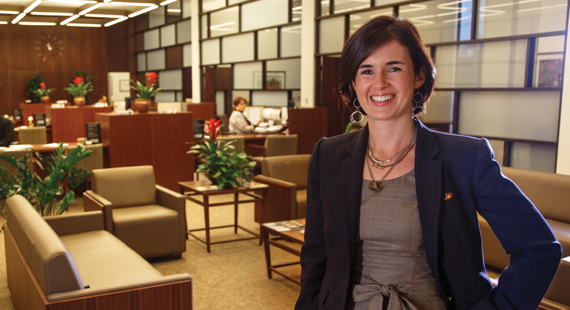 Corporate banking calls for a great balance of technical expertise and people skills.” she explains. Peterson highly recommends seeking a mentor as early as possible in life. “Uncle Rupert has been coaching my kids since they were in elementary school to think about what they would like to do in life. People are usually flattered and more than willing to be a mentor,” she says. Peterson came to San Antonio to attend Trinity University. She earned a BS in business administration, with a concentration in accounting, and is a licensed CPA. She was an avid varsity soccer player and after college continued playing in the metro league into her 30s until a neck injury slowed her down. While at Trinity, she fell in love in and with San Antonio. 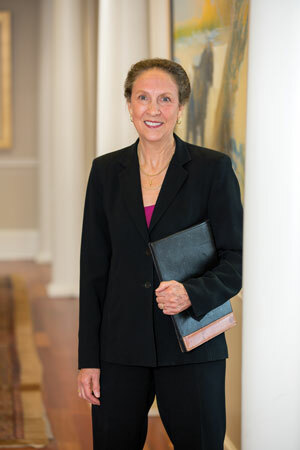 Peterson has always been actively engaged in the community and currently serves on the boards of the SAISD Foundation and the Business Advisory Council for Trinity University’s School of Business. She is a sustaining member of the Junior League of San Antonio and has provided volunteer support to the United Way of San Antonio. 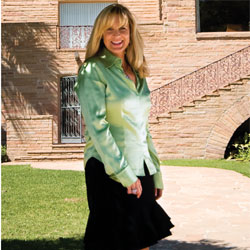 In addition to her work, Sohn is serving on the boards and finance committees for Children’s Bereavement Center of South Texas and Landa Gardens Conservancy. She runs four days a week and does weight classes at the gym twice a week. She loves her workouts and says that self-discipline and fitness help keep her fit for a strenuous business schedule. 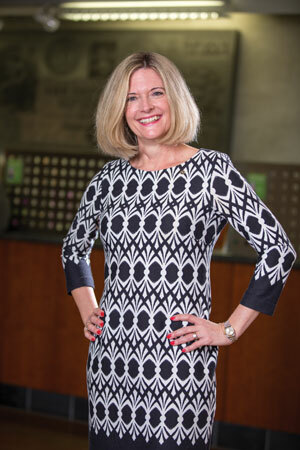 All that work pays off, as she was recognized last year in the San Antonio Business Journal, listed as No.11 out of 25 top residential mortgage producers. “It was education that brought me to the U.S.,” explains Elva Adams, whose financial career has centered around Wells Fargo Bank since 1996. ”It was around 1990 when I took years of earnings awarded by the Chinese government and moved to the U.S. alone to seek my American dream. I enrolled at UTSA, learned English and earned my BBA in accounting. I was on the dance squad, then became a member of the original San Antonio Spurs Silver Dancers.” Elva was born in Taipei, Taiwan, and became a world-class martial arts champion representing Chinese Taipei under the name Pai Yun-Yao. Among her many awards there is an Olympic bronze medal from Seoul, Korea, for tae kwon do. She represented the United States in all of her subsequent competitions, winning mostly gold medals at the national level. Then she took time off to have a family. “I am now a single mom. My son is at Texas Tech and my daughter is at O’Connor High. They are my life,” she says. In addition to Adams’ athletics, she has causes dear to her that have crossed over into her professional life: “I am able to use my position to help and promote Asian small business owners.” She is a strong advocate of maximizing the use of government loan-guaranteed programs as a way to provide financial assistance to small and minority- owned businesses that need that extra boost to start or expand their business and achieve “their American dream.” Adams says she values Wells Fargo’s vision and its policy on diversity and inclusion. 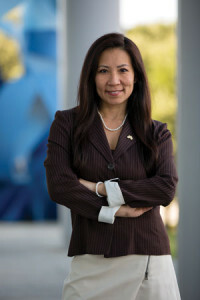 She quotes their CEO, who states, “By 2020, we should be serving diverse markets, recognizing that diverse customers often have unique financial requirements, and more of our purchasing power should be dedicated to diverse suppliers.” Adams has been able to form and serve in leadership roles in various organizations dedicated to developing and assisting the Asian, Taiwanese and Chinese communities in San Antonio. Her influence extends through her board positions, speaking engagements and participation in a mentorship program, where she shares her small business expertise to help bridge businesses between the United States and Asia and raise the awareness and importance of small businesses in the Asian community.